My thoughts: I love making natural beauty treatments, so I thought that this book was perfect! I love that there are recipes for things you can eat and then different beauty treatments you can make a home. The variety of foods you can use with this book makes it so much fun. I think this would be a fun book to pull out for a girls night, make the foods ahead and then each pick a couple of the beauty recipes to make. So many fun combinations! This week the topic is books that I could re-read forever. While I love my books, this one is a bit hard for me, since I don't usually re-read my books unless they are exceptional. I bet you didn't see that one coming. ;) If you have followed my blog for any period of time, you know that this one makes my list as often as I can find an excuse to put it there! (and yes, it totally counts as 1 for the whole series!) I love that it was written for children, so it is simple and yet complex. My thoughts: This book was quite the unique look at history and the hardships that went with living in the Caribbean in the late 1700's. Lisa does a wonderful job of bringing both the characters and the time period to life, I could only imagine how terrifying it would of been to move across the world and live on a sugar plantation! The only thing I was a little skeptical about was what Keturah was caught up in when she broke her leg. Really though, this is a great, historical story. I look forward to reading the other books! My thoughts: I loved the look at life as a professional chef that this book affords! I know working in food service is hard work, since I was a waitress and then a baker, but I didn't realize just how grueling the hours are when you work in a high class restaurant. I enjoyed the characters in this book and look forward to the following books in the series. I like that this book was not only about Rachel and Alex, but also had a lot going on with Rachel's two friends and Alex's sister. I look froward to continuing the ongoing story of where Rachel will go from here. My thoughts: My brother is forever showing me the Tasty videos and cooking from them. I think they are a great way to get visual learners to cook! I much prefer a good old cookbook though, so I was thrilled to receive a copy of this one! The recipes are phenomenal, since they are easy to do and taste delicious. I love the variety! So, if you are like me and prefer to have a recipe to look at in a book, then I highly recommend this cookbook! I received a copy of this from Blogging for Books in exchange for my honest review. 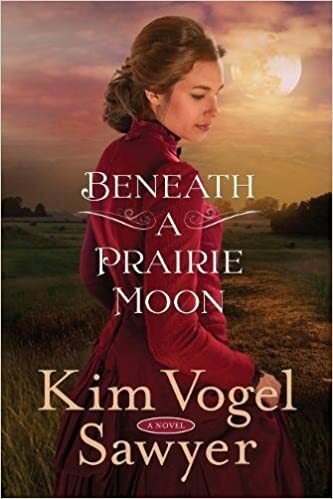 My thoughts: I love that this story is told from 4 different points of view, which gives a fun look at life on the prairie and what it might of been like to order a mail order bride. I love that this book adds a twist, with Abigail heading West to help teach the men some manners. This is a sweet, delightful story! I only wish that there had been a bit more to the ending/conclusion. This book is an excellent one to pick up if you enjoy sweet historical stories. My thoughts: When I first ordered this book, I had no idea who Tandy Gerelds was. Then, just before starting this book, my dad turned on Woodlawn when I was over there. I highly recommend watching the movie or reading the book with this one! The story is excellent. As is this book! 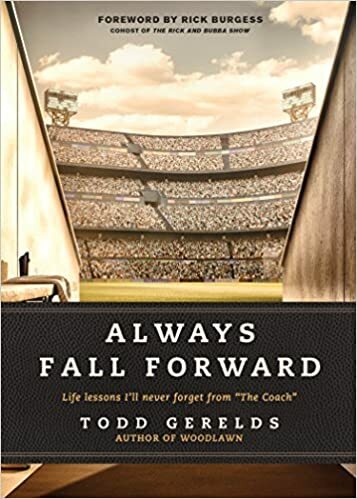 I enjoyed reading this book, even though I am not an avid fan of football, since so many of the lessons apply well to life. I loved how the thoughts, quotes, memories, and scripture tie together. Whether you are a football fan or not, this book applies well to everyday life. My thoughts: I love hearing the stories of how couples got together, so this book was right up my alley! I love how, not only does this book share how the couples get together, but also some thoughts and scripture verses to go with each story, so it is almost like a devotional. The variety of stories in this book is quite the assortment, showing how God works in relationships, even when we don't see the evidence right away. I enjoyed the Liberty Lane mysteries that I read, but I don't remember much about the series, so I don't know that I will be picking the rest of it up any time soon. I read Daughter of Time ages ago, and bought a few other Josephine Tey books to read. I just don't have enough time on my hands, so they may never be read. I like Julie's writing, but if I fall behind on an author's books, I generally don't take the time to go back and read the ones I missed. I've read a couple of the books in this series, but they haven't really grabbed my attention, despite being re-tellings of fairy tales, something I adore. I feel like I should go back and finish this series, since I read the first and second books. I love Tracy's books, but I have to be in the mood for them. So, I don't know that I will ever get back to this one. I keep looking at these, but haven't invested in them, so I kind of doubt that I will. I don't know that I can handle this story. Are there books on this list I should re-consider? What books are on your list? My thoughts: We are enjoying this little board book! My son loves the colorful pictures of different animals. I love how it shows nature as anticipating what is coming after Jesus was in the tomb for three days. 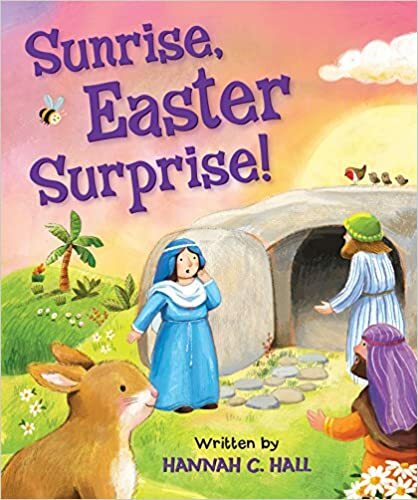 This is a fun little book to give a young child for Easter! It's an easy, short read that my child are enjoying time and again. Giveaway! Worthy is offering a copy of this book to one of my lucky followers! Just leave me a comment with your child (or your!) favorite animal and a way for me to contact you if you should win. The giveaway will last one week! Can't wait for the giveaway to close? Click the link below to purchase a copy of the book. This book is an interesting one, since it deals with a time period that a lot of Christian authors shy away from, the late 1960's. I felt like, for the most part, it did a great job of bringing to life the time. This one does deal with some tough issues, so I wouldn't recommend it to just anyone. I feel like the characters could of had a bit more feeling to the difficult situations they were put in (like apprehensive about being sent off to war?). I do look forward to reading more by the authors though! 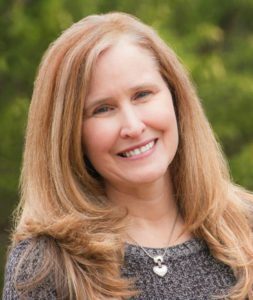 Brandi Gabriel is co-author of twelve Christian fiction books, including this one. Her first solo novel, The Orphan Bride, released in 2016 and she has since added a sequel in the same series. Her goal in writing is to touch readers’ hearts in some special way and to glorify Jesus Christ, her Lord and Savior. My husband stayed home with the kids so I could have the chance to go see The Greatest Showman with my sister and mom (and a few other family members. It was suppose to be a girls night, but kind of grew. lol). What a fun musical! While I realize they took quite a few liberties with the story (That's Hollywood, right? Some of the history behind P.T. Barnum's circus can be found here) and could of done without Barnum's infatuation, I did think it was well done and an enjoyable story about acceptance and dreaming big. For me, it represented the glitz and wonder side of the circus. My thoughts: This book is excellent! It's like sitting down with a good friend and discussing the things that are on your heart. I love her open way of sharing, and her sense of humor! This book will resonate with women in all walks of life, since we all struggle with insecurities and remembering to find our worth in Christ. My thoughts: This is an incredible memoir about the civil rights movement and what it was like to grow up in the 1950's and 60's. I thought the stories that Melba shares are interesting, and loved the testimonies! It was sad to read some of the experiences that she had to go through, even in more recent years. This book is an inspiring account of one woman who wouldn't give up, even when faced with difficult choices. My thoughts: This book does a fantastic job of bringing to life the story of Hannah and what the details of her story might of looked like. I thought that Jill did a wonderful job of breathing life into the story! It would of been hard to give up the little boy who was an answer to your prayers, but also the faith that she had to of had. If you enjoy Biblical fiction, then I recommend picking up a copy of A Passionate Hope! We lost several loved ones over the holidays and have had some tough discussions at our home lately. I recently stumbled upon this podcast by Focus on the Family where they had Kathleen Fucci come and talk about her experience with marrying a widower and the struggles and victories that they had as a family. She has some wonderful advise on how to handle those tough discussions with children. I loved her message, and highly recommend both it and her book! I know they have been a tremendous blessing to my family. My thoughts: This book is excellent! While we have done some of the Dav Ramsey practices, I always enjoy reading different philosophies on managing money. I like that this book has thoughts on saving for college (including how your children can help) and what to do when starting a business. If you are looking to be a better steward over your finances, then I highly recommend this book! My thoughts: I needed this Bible study group, due to recent events. I love that this Bible study is all about trusting God with the unknown, since none of us know what tomorrow holds. I love the journaling prompts that are in the book. And, I love the scripture verses is presents each day, and how they weave together with the thoughts. This is an excellent study to do, whether with a group or on your own! My thoughts: What I love about this book is the transparency that the Hortons give the reader, since they have been in a lot of difficult places through the years, but offer hope to those who have or are struggling. A side note, I thought it was cute that they grew up together, and enjoyed their story! 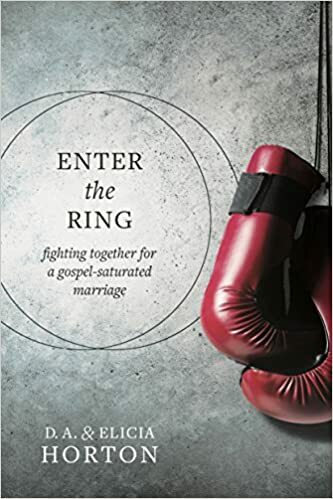 This book addresses a lot of the common problems in marriage and is a wonderful message of hope, as well as a reminder of our calling in our lives and marriages. I highly recommend it! This week, the topic is something Valentines/love related, so I am going to go with books/covers that I am in love with! This one is just gorgeous! I love how Mary is disappearing into the garden! Isn't this one just darling? These little Baby Lit books are just so cute! And, I love that they introduce little ones to the classics. Even if they are very modified. lol. I obviously need to re-read the Secret Garden, since I am so drawn to different versions of it! Another cute one for the littles! My family is hoping to take family pictures this spring, so my SIL brought up the idea of doing cousin shirts for the kids. I love the idea! I think the saying "Cousins make the best friends" is my favorite, that I have seen, but it might be fun to do a couple of rompers for the two new babies in the family that say "New to the Tribe". Thoughts? Opinions? I love Carrie's book, since they are lovely stories that bring history alive. Fans of Downton Abbey should love these books, since they are set in the same time period, that of pre-WWI England, as the world was changing at a rapid rate. 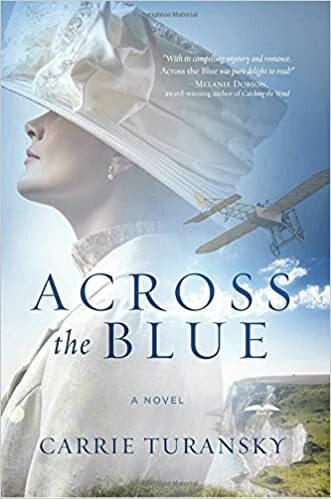 The publishers have graciously offered to give away one copy of Across the Blue to one of my readers! If you would like to be entered into the giveaway, please leave a way to for me to contact you, should you win, along your favorite time period in history and why it's your favorite. Good luck! My thoughts: This is an excellent, historical read! I thought the historical premise of the story was interesting, a hurricane hitting a Rhode Island and a town that was unprepared for the storm. I thought the characters were well written! Mem is a strong heroine, with being forced to run an orchard in a mans world. The historical detail and characters are wonderful in this book! I highly recommend it. My thoughts: I was so thrilled to receive this book in the mail last week, since I have become a huge fan of Sarah's WWII stories and how they show how the women helped the war effort. I thought that this one was an excellent start to her new series, Sunrise at Normandy, which will showcase three different brothers working in the different branches of the military. I loved the characters in this one! I adored getting to know them as they developed over the course of the story. The only thing that disappoints is that I have to wait until next year for the next story to come out! My thoughts: I like that this recipe book has a variety of dishes in it, packed full of vitamins, nutrients, and flavor! I don't eat Vegan exclusively, but I do enjoy trying out Vegan recipes, so this cookbook adds a fun variety of foods to my menu. The roasted zucchini tacos and deli bowls are amazing! I love the soup recipes too. This book will be a fun one to have on hand once farmers markets start back up! My thoughts: This is such a darling book! We have the first one, When God Made You, which is darling as well. I love the illustrations in this book and how it focuses on light. Not only does it talk about God creating light and the different ways we see that light, but it also talks about the light that is within each of us. I like how it also addresses not being afraid of the dark (something we have been working on). This book is just darling! My thoughts: Oh my. This one is hard to put down! I didn't know what to expect, since I didn't read Purgatory Road, but it wound up being an suspenseful read that brought to life the supernatural. If you enjoy Frank Peretti style books, then I think you will love this one! My thoughts: I love that this book is about two different women in two separate time periods. I loved learning more about Puritans and Quakers in early American history, and look forward to reading more of Mary Coffin's story in the next book in the series. Suzanne has written another wonderful historical novel with Phoebe's Light! I love her attention to historical detail and how the characters come alive! My thoughts: This book was an interesting new look on WWII, with it being set in Prague and being about a Jewish musician. I thought that the story was unique and easy to get into, and I loved that some of it was based on a true story! If you enjoy WWII stories, then this one is an enjoyable read to pick up.